Making your own homemade cloud dough is easy! 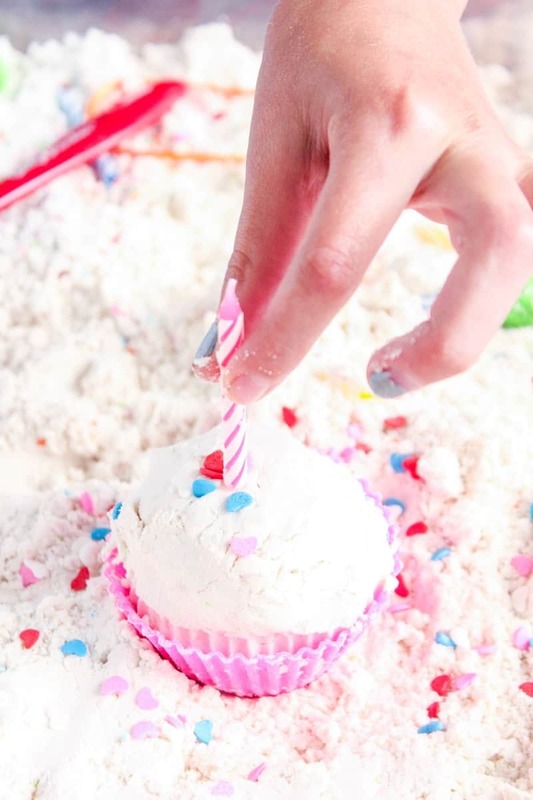 I’ll show you how to make cloud dough for an entertaining cupcake sensory bin activity for kids! Cloud dough is the ultimate sensory dough! It has a smooth texture that can be powdery like flour as well as moldable like damp sand would be. 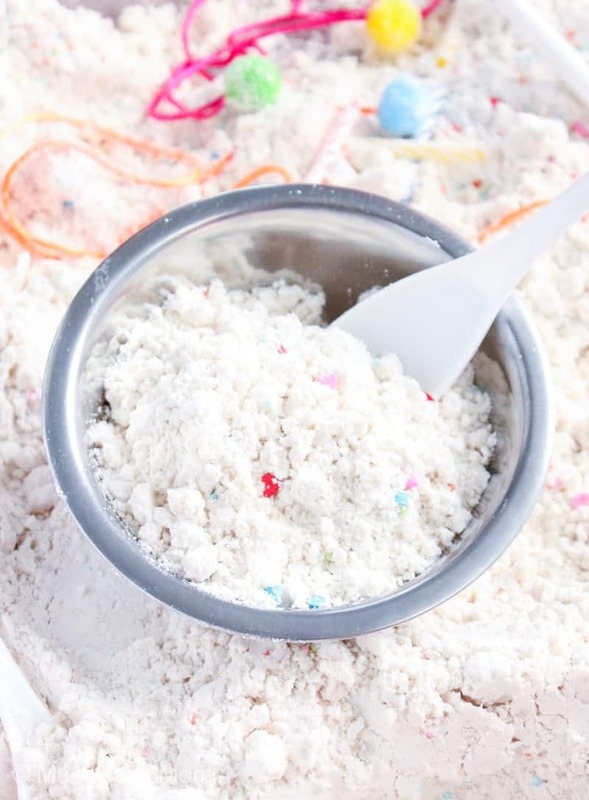 This makes it the ideal dough for a sensory bin or sensory table activity. Mold it, sift it, play with it over and over again! You can even scent it! I’ll show you how to make it and create a cupcake sensory bin. Sensory bins make ideal indoor activities for kids on rainy days or during quiet time. 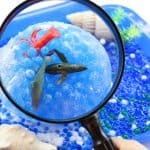 If you like sensory bins then check out our pasta sensory bin, ocean theme sensory bin, or our frozen ocean sensory bin. Cloud dough is really easy to make! 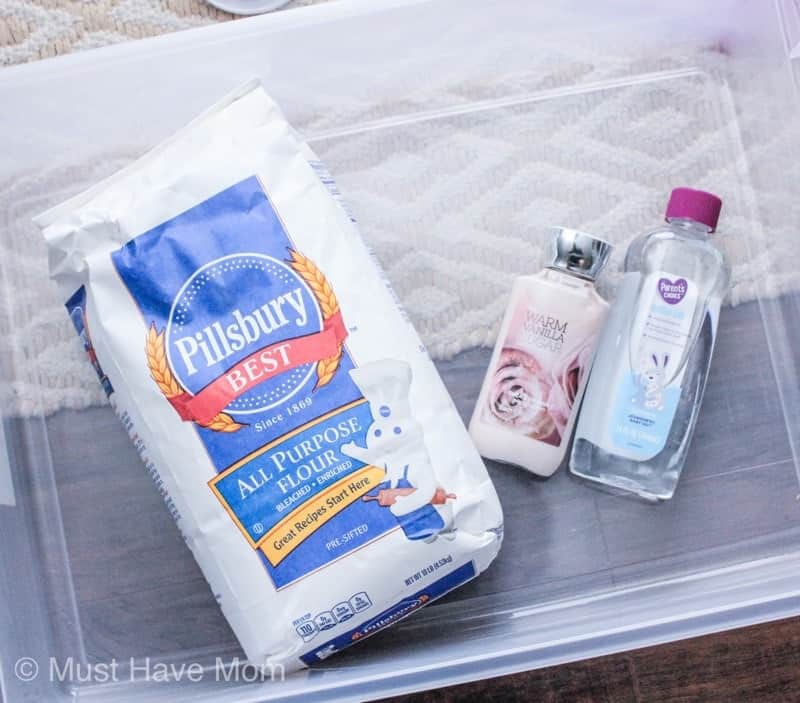 I’ll show you what supplies you’ll need, how to make cloud dough and how to put together a cloud dough sensory bin so your kids can pretend to bake with the cloud dough. You’ll need a few basic supplies to make the cloud dough. You’ll need a large bowl or sensory bin to mix your cloud dough in. I used a large, clear plastic tub with shallow sides that works great as a sensory bin. When we are done we just pop the lid back on and store it for later! In a large bowl or sensory bin, mix together flour, baby oil and lotion. 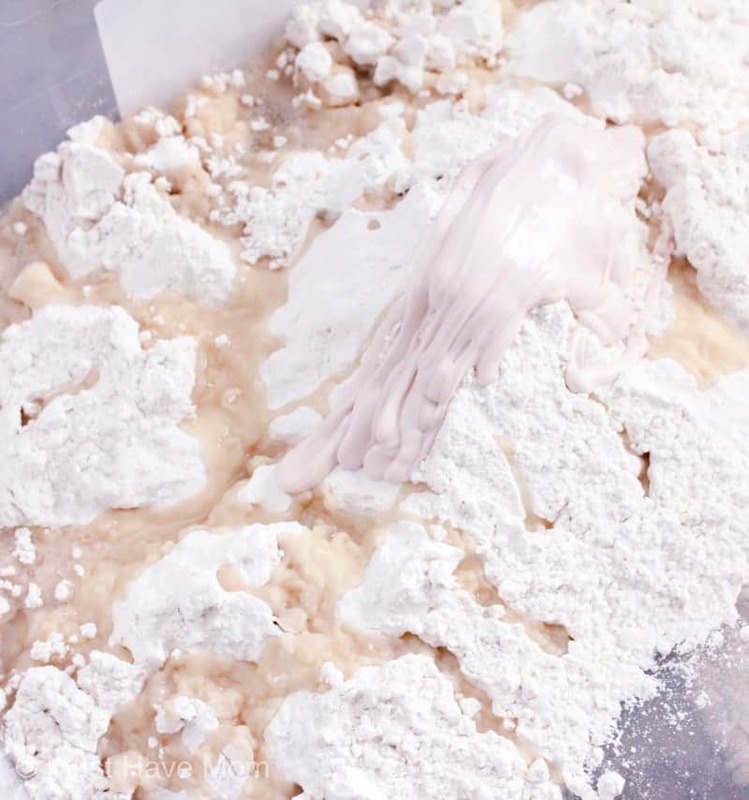 Continue mixing until you achieve a powdery texture that will also hold shape when molded. Feel free to add a little more flour or oil as needed to achieve the proper texture. 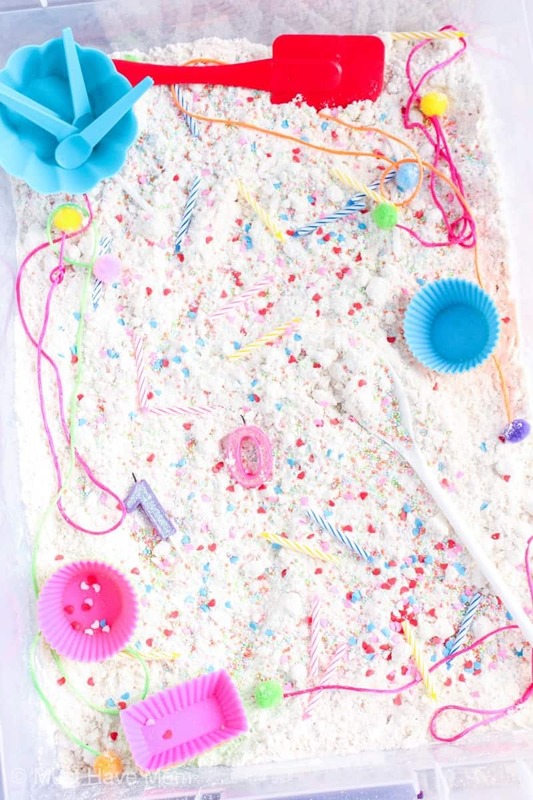 Spread your cloud dough out in your sensory bin and add sprinkles and baking supplies to create your cupcake sensory bin! 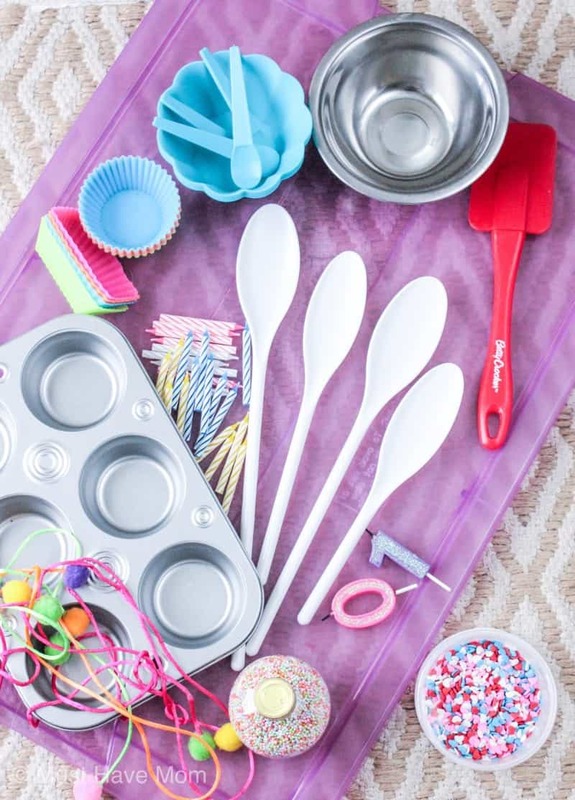 Kids can pretend to bake and mix up their own cupcake dough! 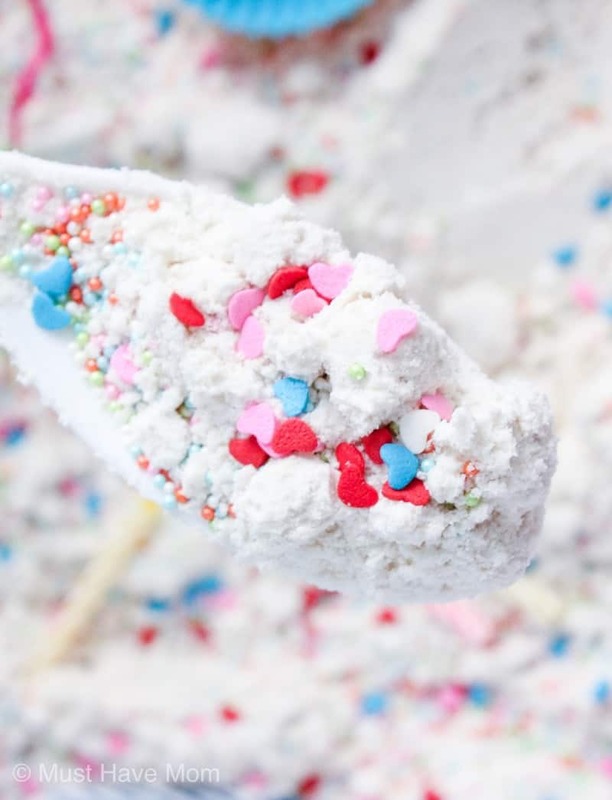 It is so much fun and the sprinkles add to the pretend play experience. 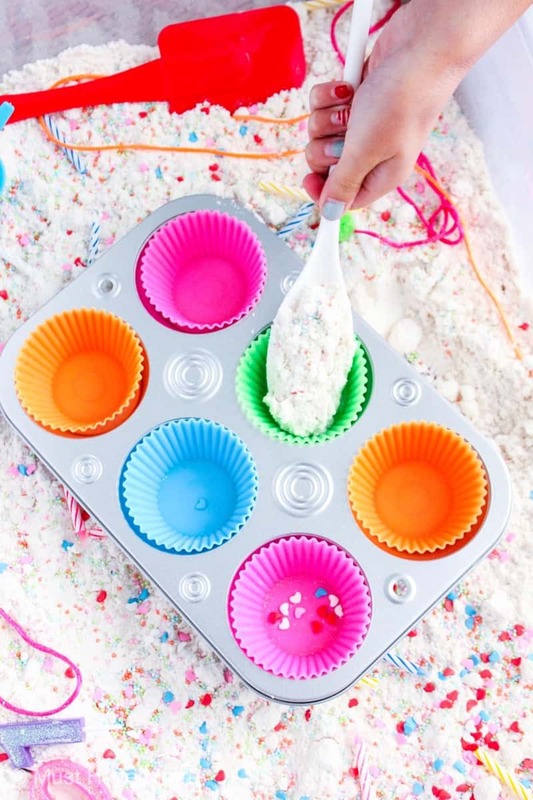 Use the mini muffin tin and silicone cupcake liners to “bake” pretend cupcakes! Then kids can add a candle on top of their cupcakes! Cloud dough will last a long time! 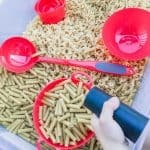 Store it in an airtight container and use it again and again. 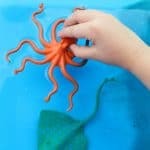 This is a great activity for kids. Cloud dough is made of flour, baby oil and lotion so it is completely safe for kids to play with. Don’t ingest cloud dough though! 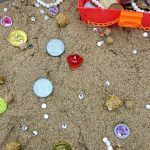 Pirate Treasure Hunt Sensory Bin with Kinetic Sand!